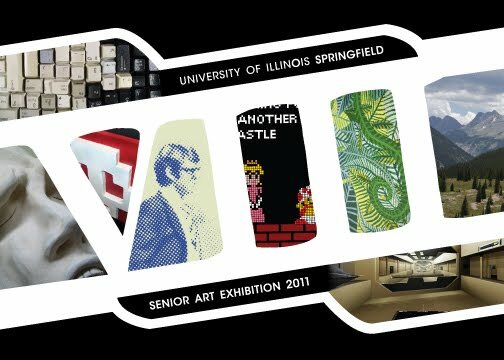 WHAT: The University of Illinois Springfield is proud to present “VIII,” an exhibition of recent works by the graduating seniors of the Visual Arts Department. The artists will show an eclectic collection of fine art pieces, representing numerous disciplines and medium. WHEN: The exhibition will run May 2-15, 2011 with an opening reception taking place on Thursday, May 5 from 5:30 to 8 p.m. starting in the Visual Arts Gallery. WHERE: The exhibition will be located in Visual Arts Gallery located in the Health and Sciences Building and the Access Gallery located in the Visual and Performing Arts Building. DETAILS: Artist Matt Abrell uses digital media to obscure the boundaries between fiction and reality. Sarah Ayers thematically represents organic subject matter by way of paint and print. Geoffrey Chandler pays homage to iconic video games, employing ceramics and mixed media. Charde Creasey reveals feminist concepts through the eyes of a female gamer. Erin Freeman sculpts stylized busts with exaggerated features out of stoneware. Photographer Joe Gardner uses digital media to enhance his images and subjects. Paintings and prints by Judah Johnson explore personal and iconic American imagery, conveying a historical exposé. Mixed media artist Joel Walter re-appropriates computer keyboards to create a mosaic self-portrait. The public is invited to attend the opening reception and view the exhibition. Refreshments and hors d’oeuvres will be provided. For more information on the exhibition, contact UIS Visual Arts Gallery at 217/206-6506 or email gallery@uis.edu. WHAT: The University of Illinois Springfield Music Program will hold its annual Spring Showcase Concert. WHEN: Friday, May 6, 2011 at 7:30 p.m. 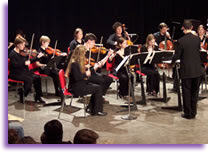 DETAILS: The concert will feature the UIS Chorus, Chamber Orchestra, and Concert Band. Trumpet soloist Dr. Tracy Parish will be featured with the Concert Band performing Herbert L. Clarke’s Carnival of Venice and other solo works featured on John Philip Sousa’s famous 1911 world tour. Highlights of the Chorus performance include Ariel Ramírez’ Misa Criolla and a combined performance of Fauré’s Pavane, Op. 50 with the Chamber Orchestra. Also programmed by the Chamber Orchestra are Holst’s Brook Green Suite, and a set of New Orleans dance orchestra music from the historic John Robichaux collection. In addition to music from the 1911 Sousa Band world tour, the Concert Band will perform Spring Festival by Chinese composer Chen Yi and Chester by American composer William Schuman. The Concert Band and Chamber Orchestra are under the direction of Todd Cranson. The Chorus is under the direction of Melinda Pitt Kaye. Admission to the concert is free and open to the public. Donations benefitting the UIS Music Student Merit Award will be accepted at the door. Everyone is invited to meet the musicians at a reception in the Sangamon Auditorium Lobby will following the concert. For more information, contact Todd Cranson at 217/206-7549 or email rcran2@uis.edu. 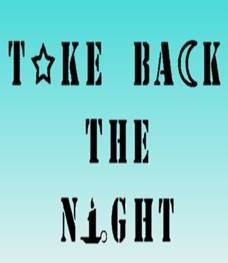 WHAT: The University of Illinois Springfield and Lincoln Land Community College will hold the fourth annual Take Back the Night march and rally. WHEN: Friday, April 29, 2011 at 7:30 p.m.
WHERE: The candlelight march will start on the UIS quad and end on the south patio of the Health Sciences Building (HSB) at UIS where a rally will be held. DETAILS: Take Back the Night is a movement inclusive of all genders and sexual orientations that brings survivors, supporters and activists together in a call for the end of violence against women. The event will include survivor stories, music, a poetry reading, ice cream, and t-shirts for students who arrive early. The Clothesline Project, an initiative to support victims of domestic violence will also be on display on the HSB patio. The project is a vehicle for women affected by violence to express their emotions by decorating a shirt. They then hang the shirt on a clothesline to be viewed by others as testimony to the problem of violence against women. For more information about the march and rally, contact the UIS Women’s Center at 217/206-7173 or email womenscenter@uis.edu. Students at the University of Illinois Springfield will not soon forget Springfest 2011, a week-long event that featured a variety of fun and educational competitions. This year's competition ended in a tie with the teams “X-Men in Black” and “The Aqua’holic’ man & his 14 Fantastic Loco's” both taking first place. More than 30 teams, which were comprised of over 400 students, entered the competition. The week ended with the annual mud tug-of-war, which has become a staple of the Springfest tradition. The rope, which has been used in the competition for the past 18 years, broke as students battled for the championship. It was quickly repaired and action continued as students tried to avoid the mud! For more information on Springfest visit the Student Life website. As part of the “Week of the Young Child” kids and parents at the University of Illinois Springfield’s Cox Children’s Center collected items for Ronald McDonald House Charities of Central Illinois. The center collected boxes of non-perishable food, toothbrushes, and other personal items for families staying at the home. The Ronald McDonald house serves as a place for families to stay, near the hospital, when a child is facing a life-threatening or serious illness. “I selected the Ronald McDonald House because I figured if we’re celebrating families we should also help celebrate families that may need some extra help,” said Kendra Ayers, child development supervisor at the UIS Cox Children’s Center. The Ronald McDonald House, located in Springfield, serves more than 400 families every year in 50 Illinois counties. It costs about $30,000 a month to keep the house open. As part of the fundraising drive, Ronald McDonald himself came to pick up the items children collected at the center. He also helped with a balloon launch in celebration of the “Week of the Young Child”. 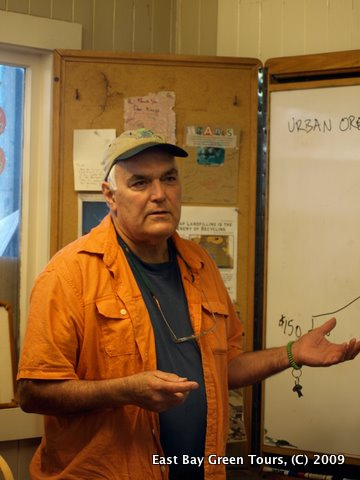 WHAT: The University of Illinois Springfield is proud to welcome Dan Knapp, founder of the company Urban Ore and former Sangamon State University (now UIS) professor as the 2011 Earth Day speaker. WHEN: Wednesday, April 20, 2011 at 7 p.m.
WHERE: Brookens Auditorium, located on the lower level of Brookens Library, with overflow seating available in conference rooms PAC C/D. A free public reception will follow the event in the PAC restaurant. DETAILS: Knapp’s company, Urban Ore, has a unique business model that involves salvaging items from the dump for reuse, selling the merchandise in retail sales, and recycling as a last resort. Today, sprawling across three acres in Berkeley, California, Urban Ore is a huge thrift store that sells about 7,000 tons of reused and recycled goods per year. Dan and his wife, Mary Lou Van Deventer, pride themselves on only sending 120 tons — 2 percent of their inventory — to the landfill annually. Knapp received a Ph.D. in Sociology from the University of Oregon, before coming to teach at Sangamon State University in the early 1970s. Dan taught a course at SSU called ―20th-Century Homesteading. For this course his students scavenged in alleys and redistributed the goods they found. This persuaded Dan that recycling could provide ―enough high-value stuff to support a substantial small business. When Knapp moved back to Oregon he faced opposition to his plans for starting a recycling business. In September 1979 he hitchhiked to Berkeley and began working on landfills four days later. The following year, Urban Ore was founded. Urban Ore is based on environmentally sustainable disposal by reuse and recycling and zero waste design. The company has developed methods that are being adapted in the United Stated, Australia and New Zealand. This event is being sponsored by the UIS Engaged Citizenship Common Experience (ECCE) Speakers Series, Friends of Brookens Library (John Holtz Memorial Lecture) and Students Allied for a Greener Earth (SAGE). For more information, contact Janelle Gurnsey, Brookens Library Multi-Media Communications Specialist at 217/206-8451 or email gurnsey.janelle@uis.edu. Students at the University of Illinois Springfield created cardboard shelters and slept on the quad on April 13, 2011 in an effort to educate fellow students about homelessness. The cardboard build was part of the annual UIS Springfest celebration, a week-long event where students compete in a variety of fun and educational competitions. The only thing the students were allowed to bring with them was a blanket and a flashlight. No electronic devices were allowed and points were awarded based on how many students spent the night. Students know homeless living on the streets have it much worse than they do sleeping on the campus quad, but they hope this bring awareness to the problem. “We’ll have a firsthand experience, not quite as authentic as it could be, but I think it will open up our eyes a little bit,” said John Bauman, a junior Computer Science major. Criminal Justice and Psychology major Meredith Quarello feels the homeless are often forgotten. She realizes homelessness is a growing problem in Springfield and across the nation. “I think it’s something that is really overlooked, because all of us are so fortunate to be able to come to college and have those opportunities. I think it’s something we really overlook in society,” said Quarello. The students were given 11 hours to build their shelters, which could only be made from cardboard and duct tape. Decorations were also allowed, but they could not support the structure. “We went to Lowe’s, hardware stores, television stores and things like that. We have a few 80 inch TV boxes, which are huge,” said Bauman. The sleep out on the quad began with students hearing from members of the Springfield organization Homeless United for Change (HUC). The “Faces of the Homeless Panel” featured individuals who are or have been homeless sharing their stories. “I think this is an amazing thing we’re doing, because it’s unfathomable for many students,” said Julia Hancock, a sophomore Clinical Laboratory Science major. This was the first time the Box City event has been part of the UIS Springfest celebration. The event was sponsored by the UIS Volunteer and Civic Engagement Center and the Student Activities Committee (SAC). 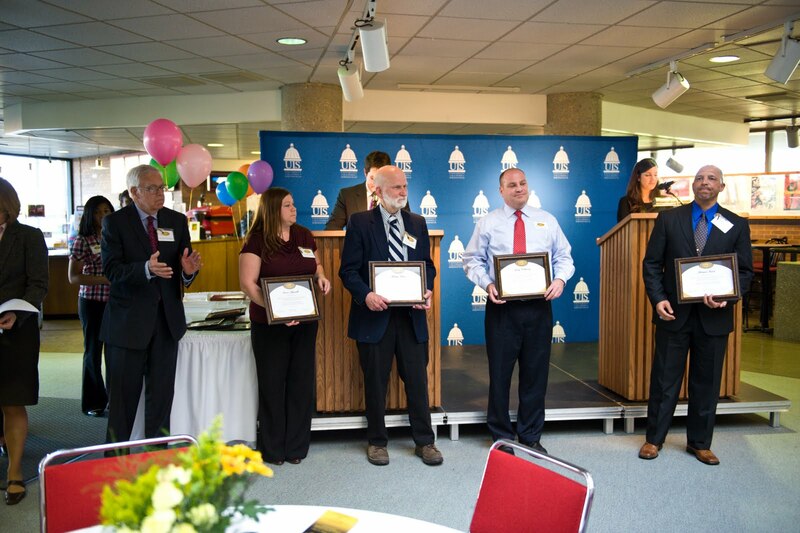 In honor of National Volunteer Week (April 10-16), the University of Illinois Springfield and the Junior League of Springfield hosted the Springfield Good as Gold Ceremony, a recognition event to acknowledge community members and organizations for their volunteer efforts. The ceremony took place on Tuesday, April 12, in the lobby of the Sangamon Auditorium on the UIS campus. More than 40 people were recognized during the event for their achievements and efforts. UIS honored one staff member and one student who have demonstrated an exceptional commitment to service and volunteerism with the UIS Star Staff and UIS Star Student award. 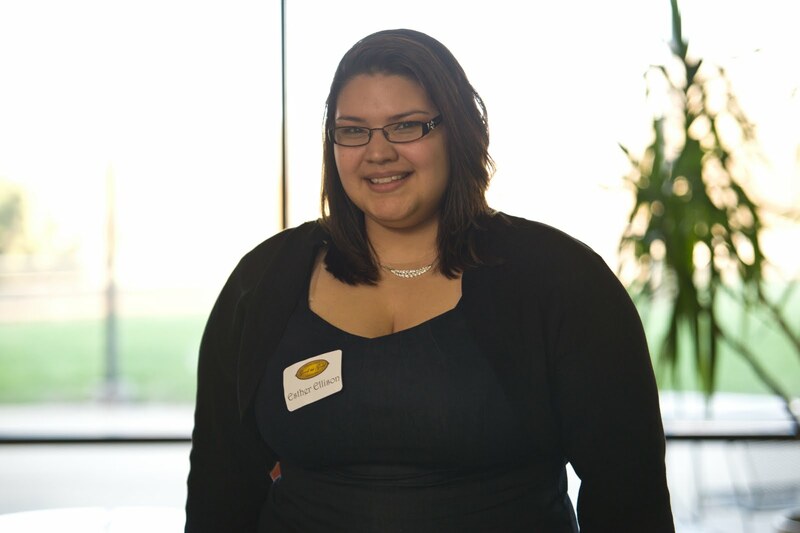 Esther Ellison, a senior social work major was the recipient of the UIS Star Student Award. Normajean Niebur, an Office Support Specialist for the Criminal Justice Department received the UIS Star Staff Award. 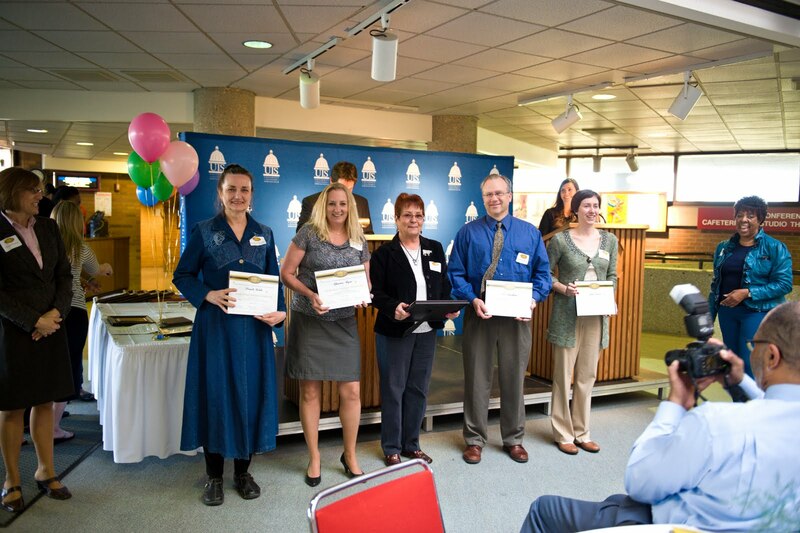 Other UIS staff nominees included Neil Headman, Julie Perino, Christina Ryan, and Pamela Salela. Several UIS students were also honored with Outstanding Community Service Awards for their volunteer efforts in the community. The Junior League recognized the Animal Protective League with their Organization Agent of Service Award; Tricia Hopkins-Price was given the Above and Beyond the Call of Duty Award; James R. Davis, II was awarded the Youth Volunteer Award; and Holly Kathleen Sias was recognized as the Outstanding High School Community Volunteer Award Winner. Five nominees for the Distinguished Volunteer Award were acknowledged during the event with a short presentation. The nominees included Daniel Cadigan, Erica Christell, George Rose, Jerry Schwartz, and Herman Senor. 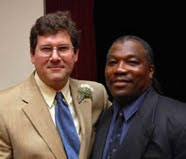 The winner of the 2011 Good as Gold Distinguished Volunteer Award was Daniel Cadigan. Twenty-five local volunteers were also honored with the Heart of Gold Award. Recipients included: Les Carlson, Jane Carlson, Kim Carter-Parker, Karen Corrigan, Carol Diedrichson, Melanie Eades, Phil Harris, James Howard, Barbara Kern, Karen Kloppe, Angela Lyons, Joey McLaughlin, Carol Saltsgaver, Patricia Schuhardt, Renee Scott, Earlene Stoeckel, Carol Strick, Sharon Shoemaker-Turley, Mary Vasconcelles, Monica Walls, Diana Wasem, Gary Wilhoit, Rev. Sam Winger, Mary Yates, and Elaine Young. For more information about the event, please visit www.uis.edu/volunteer, email volunteer@uis.edu or call 217/ 206-7716. Over 400 students at the University of Illinois Springfield are spending the week competing in a variety of fun and educational competitions as part of Springfest 2011. The week-long challenge began on Monday night with a campus-wide Scavenger Hunt, which started in the gym of The Recreation and Athletic Center (TRAC). Over 30 student teams took part in the event. “I thought it was going to be something really boring, but it turned out to be really fun and just amazing,” said Daniel Aguilar, a freshman Political Science major. The Scavenger Hunt was made up of a list of over 200 items, which students were limited to finding only on campus. Participants were not allowed to use cars, bikes, or other transportation and were required to try and collect all the items in only an hour. “I had a great time. My team, I love them, there’s so much energy,” said Paulina Pogorzelski, a senior Criminal Justice major. Some of the stranger items on the Scavenger Hunt list this year included a croquet set, surf board, and a group member sporting a Mohawk. “It was a fun, amazing experience I’ll never forget,” said Aguilar. Springfest is one of the longest running student traditions on campus, which started in 1992. The number of students involved every year continues to grow. “We get the faculty involved, students, campus offices also get involved, so it’s good for the community,” said Rebecca Roche, Springfest co-chair and traditions coordinator. Students say they look forward to the competition every year, not only because it’s fun, but because it helps them meet their fellow students. “If you sum it up in words it’s fun, friendship, and loyalty,” said Hilary Holmes, a senior Biology major. 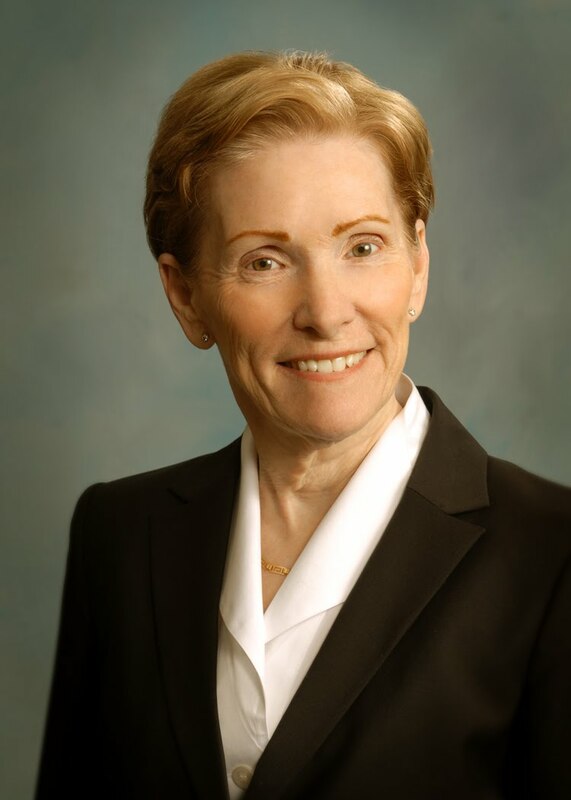 WHAT: University of Illinois President Michael J. Hogan will welcome Susan J. Koch, the newly named Vice President and Chancellor of the University of Illinois Springfield during a public reception. WHEN: Monday, April 11, 2011 from 2 to 4 p.m.
WHERE: Sangamon Auditorium lobby, located on the second floor of the Public Affairs Center (PAC) on the UIS Campus. DETAILS: As vice president and chancellor of UIS, Koch will be responsible for the academic programs and operations of the Springfield campus. UIS serves approximately 5,000 students in 44 undergraduate and graduate programs in four colleges, with 211 full-time faculty, 533 staff and an annual operating budget of $73 million. President Hogan called Koch a proven academic leader in announcing her appointment, effective July 1, subject to Board of Trustees approval. Koch is a native of South Dakota, where she earned a bachelor’s degree in health/physical education/biology at Dakota State University. 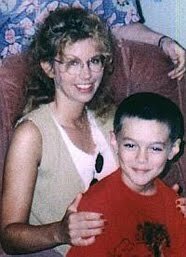 Her first job was as a high school teacher in Waterloo, Ia. She returned to college at the University of Northern Iowa and earned a master’s degree and doctorate, both in health education. Koch joined the faculty at UNI in 1985 and moved into administration in 1995. WHAT: The Political Art and the Public Sphere (PAPS) series at the University of Illinois Springfield presents a screening of the film "Blue Gold: World Water Wars". The film will be followed by a discussion moderated by Stefano Longo, assistant professor of Environmental Studies at UIS. WHEN: Monday, April 18, 2011 at 6 p.m. 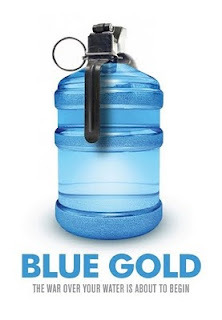 DETAILS: Based on the book by Maude Barlow and Tony Clarke and narrated by Malcolm McDowell, "Blue Gold: World Water Wars" sheds light on the world’s rapidly approaching water crisis and suggests that wars of the future will be fought over water, as the source of all life enters the global marketplace and political arena. The world’s fresh water is disappearing. As our diminishing supply is polluted and wasted, corporations are moving fast to privatize fresh water. Also, military control of water is rising globally, setting the stage for world water wars. This international award-winning film follows various examples of people addressing the problem and fighting back. Speakers Series presents "Two Koreas and the United States: Current Issues in Global Geopolitical Relations"
WHAT: The University of Illinois Springfield Engaged Citizenship Common Experience (ECCE) Speakers Series and Notre Dame Club of Central Illinois presents “Two Koreas and the United States: Current Issues in Global Geopolitical Relations”. As part of the Hesburgh Lecture Series Kwan S. Kim, professor of Economics at the Helen Kellogg Institute for International Studies at Notre Dame University will lead a presentation and discussion. WHEN: Monday, April 11, 2011 at 7 p.m. DETAILS: What is the North Korean regime’s ultimate policy goal? How would North Korea attempt to reactivate its nuclear facilities affect geopoltical relations in East Asia and the United States? North Korea’s modest progress on market liberalization and South Korea’s economic prowess and emerging nationalism are key factors contributing to a peaceful resolution. This must include sustained, inter-complementary roles that the U.S. could play. 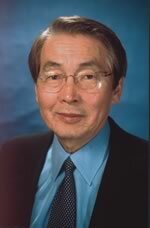 Dr. Kim’s research interest lies in development studies and international economics with geographical focus on East Asia, Latin America and Africa. His research combines holistic and quantitative analysis based on fieldwork and consultancy experiences he had abroad. Dr. Kim has published 13 books that include The Political Economy of Inequality and Growth, Distribution and Political Change. Since 1986, the Hesburgh Lecture Series has brought a taste of Notre Dame’s academic excellence to alumni and their local communities. For more information and a list of other UIS speakers series events visit http://illinois.edu/goto/speakerseries or contact Kimberly Craig at 217/206-6245 or craig.kimberly@uis.edu. Students at the University of Illinois Springfield will create cardboard shelters and sleep on the quad on Wednesday, April 13, 2011 in an effort to educate fellow students about homelessness. Hundreds of students are expected to take part in the Box City event, which begins at 10 a.m. as students build the structures on the central quad throughout the day. The students will return to spend the night from 9 p.m. to 5 a.m. The cardboard build is part of the annual UIS Springfest celebration, a week-long event where students compete in a variety of fun and educational competitions. Members of the Springfield group Homeless United for Change will be speaking at the event starting at 9:30 p.m. The “Faces of the Homeless Panel” will feature individuals who are or have been homeless sharing their stories. Students will also have the opportunity to ask questions. “A lot of times we look at big issues in the world and feel we have no way to help, but this is a problem that’s happening right here and we can do something about it,” said Stodgel. He hopes the Box City event will cause his fellow students to take action and volunteer at organizations in Springfield that help the homeless. “We’re bringing awareness by putting students in the shoes of the homeless, if only for one night,” said Stodgel. This is the first time the Box City event has been part of the UIS Springfest celebration. The event is being sponsored by the UIS Volunteer and Civic Engagement Center and the Student Activities Committee (SAC). For more information, contact Blake Wood, UIS Campus Relations at 217/206-6716 or email bwood8@uis.edu. WHAT: Former Illinois Governor Jim Edgar and political commentator Mike Lawrence will discuss “The American People, the Government, and the Public Trust” as part of the UIS Lunch and Learn Series. WHEN: Wednesday, April 20 from 11:30 a.m. to 1:30 p.m.
WHERE: Public Affairs Center (PAC) Conference Rooms C/D, located on the lower level of the PAC on the UIS campus. DETAILS: Former UIS Chancellor and political scientist Dr. Naomi B. Lynn will moderate the event sponsored by the UIS Alumni SAGE Society, the Illinois State Historical Society and the Office of UIS Chancellor. Governor Edgar, a distinguished fellow with the University of Illinois Institute of Government and Public Affairs, was the 38th governor of Illinois. As governor, he made fiscal discipline and children the cornerstones of his two terms. Mike Lawrence recently retired as Director of the Paul Simon Institute for Public Policy at Southern Illinois University at Carbondale. He is a well-known political commentator, syndicated columnist and blogger. The cost for the lunch and program is $20/per person. Paid reservations are requested by April 13, 2011. The program will begin at Noon and seating is available in the back for those who do not purchase the luncheon buffet. Reservations are requested since seating is limited. Visit www.uiaa.org/uis to register online. For more information, contact the UIS Office of Alumni Relations at 217/206-7395 or email alumni@uis.edu. 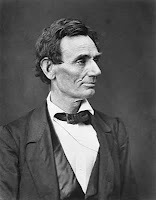 The University of Illinois Springfield will host Lincoln and the Secession Crisis Reconsidered: A Symposium on Saturday, April 9, 2011 from 9:30 a.m.-4:30 p.m. in Brookens Auditorium, which is located in the lower level of Brookens Library. This event is free and open to the public. The symposium is being organized by Michael Burlingame, holder of the Chancellor Naomi B. Lynn Distinguished Chair in Lincoln Studies at UIS. The event will feature five renowned scholars from around the country. When the Republican Party stunned the nation and nominated Abraham Lincoln, largely unknown in the East, to run for the presidency, it pushed Illinois to the center of the sectional crisis. Lincoln won the nomination in part because he lacked the sworn enemies of well-known politicians such as New York's William Seward and Pennsylvania's Simon Cameron. In the months following Lincoln's election, southern states seceded from the Union (From: http://dig.lib.niu.edu/civilwar/narrative1.html). Paul Finkelman, the President William McKinley Distinguished Professor of Law and Public Policy at the Albany Law School, specializes in American legal history, race and the law. He is the author of more than 100 scholarly articles and more than 20 books, including The Political Lincoln: An Encyclopedia (co-edited with Martin J. Hershock, 2009) and Lincoln and the Preconditions for Emancipation: The Moral Grandeur of a Bill of Lading, in Lincoln’s Proclamation: Race, Place, and the Paradoxes of Emancipation (ed. William A. Blair and Karen Fisher Younger, 2009), pp. 13-44. Mark J. Stegmaier, Professor of History at Cameron University in Lawton, Oklahoma, is the author of Texas, New Mexico, and the Compromise of 1850: Boundary Dispute and Sectional Crisis (1996). He has edited Henry Adams’s anonymous journalism written during the secession crisis (forthcoming) and is at work on a book-length study of Congress during that crisis, as well as a book-length study of the South's role in the development and passage of the Kansas-Nebraska Act of 1854. Daniel W. Crofts, professor of history at the College of New Jersey, is a leading authority on the secession crisis. His first book, Reluctant Confederates: Upper South Unionists in the Secession Crisis (1989), explored the social and economic foundations of politics and the role played by partisanship in making North-South disagreements more insoluble and explosive. He has edited and provided a new introduction for David M. Potter’s classic study of Lincoln and His Party in the Secession Crisis. Last year Professor Crofts published A Secession Crisis Enigma: William Henry Hurlbert and The Diary of a Public Man, on which his presentation is based. Russell McClintock, who earned his Ph.D. in history from Clark University, received the Hay-Nicolay Dissertation Prize, awarded jointly by the Abraham Lincoln Institute and Abraham Lincoln Association. That dissertation was published as Lincoln and the Decision for War: The Northern Response to Secession, which the History Book Club deemed the best Civil War book of 2008. He teaches history at St. John's High School in Shrewsbury, Massachusetts, and is currently working a biography of Stephen A. Douglas. Michael Burlingame, holder of the Chancellor Naomi B. Lynn Distinguished Chair in Lincoln Studies at UIS, is the author of Abraham Lincoln: A Life (2008) and The Inner World of Abraham Lincoln (1994). His book Lincoln and the Civil War will be released in September. He has also edited several volumes of Lincoln primary source materials, including At Lincoln’s Side: John Hay’s Civil War Correspondence and Selected Writings. For more information on the symposium, contact Michael Burlingame at 217/206-7364 or email mburl2@uis.edu. WHAT: The University of Illinois Springfield Natural Science Division is celebrating the 11th Annual UIS Science Research Symposium featuring student and faculty research presentations and a distinguished keynote speaker. WHEN: Friday, April 15, 2011 from 9 a.m. to 4 p.m. DETAILS: This year's keynote speaker will be Dr. Elena Kramer, from the Department of Organismic and Evolutionary Biology at Harvard University and her talk will be on the “Behavior of Supported Phospholipid Bilayers”. The primary goals of the symposium are to share the results of various local scientific studies, encourage scientific dialogue in the community, and to inform the community of the research conducted at UIS and at neighboring campuses. The symposium is open to the public. 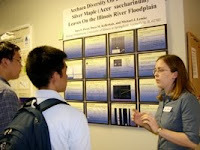 Undergraduate students, graduate students, and faculty involved in any aspect of scientific research are encouraged to present either oral presentations or poster presentations. Prizes will be awarded to the two best student oral presentations and to the two best student posters each in undergraduate and graduate categories. For more information, contact Dr. Layne Morsch, assistant professor of Chemistry at lmorsc1@uis.edu or 217/206-8487.